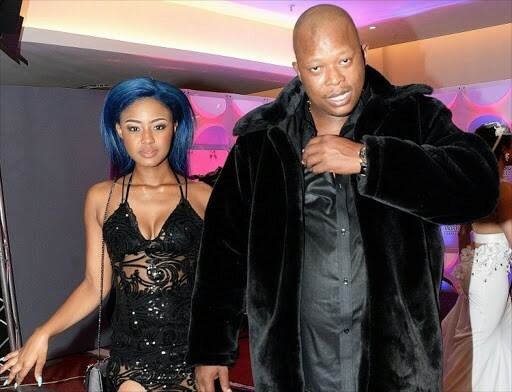 While Babes had earlier in the interview only admitted that things between herself and Mampintsha had turned “sour” she remained mum when Masechaba claimed to know of incidents where Mampintsha had allegedly punched Babes in the face and broken her leg. It was at this point that Babes started weeping and family members and friends who were in the Metro FM studio with her approached her to console her. Now Mampintsha has responded to what he has called the “hysteria” in the wake of the interview. No man finds comfort in discussing his private affairs in the public domain. In particular his love affairs. It is out of respect for our supporters and the people of South Africa in general that i make a reaction to the public hysteria emanating from the interview on Metro FM in which Babes Wodumo was hosted. This interview and the revealation that i have been physically abusing her unfortunately occurs amidst a public outcry on the increasing incidents of violence against women and many of which in recent months have led to the killing of women by their lovers. As a public figure and a man i should be at the fore front of the campaigns against gender based and domestic violence. I am no saint‚ nor do i plead absolute innocence in the claims made in that interview. I may have overeacted in a couple of incidents during our relationship with her over certain things i will not be comfortable to discuss in the public domain. I fully understand that no human being owns or is entitled to another and that every human being is at all times at liberty to take personal decisions‚ do what pleases him or her and persue a life of his or her choosing iregardless of any commitment he or she may have with another person or the implications and impact those may have on the other person. Many have correctly and understably took to social media platforms to vent their anger and dissapointed after the interview. I want to apologise to South Africa for the dissapointing you and discourage other men out there who may find themselves in my situation or different one that challenge your emotional stabillity and restrain. No man has any right or justificaction to abuse a woman in any form whatsoever. I know for sure that there are many such cases happening out there that do not get to be known because of the absence of the motive‚ forces and courage to get them known like mine. those too must stop. it would be great if the producers of that interview and other media outlets find equal interest and courage to research and broadcast all the women abuse cases out there whose perpetrators and victims are of no particular social standing. I want to assure South Africans‚ in particular our supporters that violence is not in my character‚ especially towards women. like a human being in a relationship i may have been overwhelmed by emotions and over reacted. where we come from with her ‚ abusive wouldn’t best define the nature of our journey. We wouldn’t get this far. As for the accuracy of the abuse claims‚ the build up to the interview‚ the motive and the timing….is a matter i will leave to fate to decide its fate. everything you hear and everything you see‚ nothing is what it seems. out of respect for the relationship we had and for the people who supported us‚ i have chosen to not discuss this matter beyond this statement. ngiyaxolisa mina.UNKULUNKULU ASISIZE LESKHATHI.